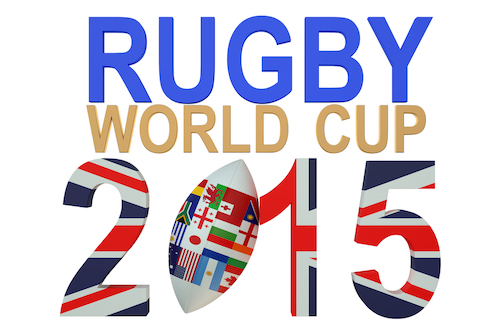 Have you ever wondered how the rugby world cup 2015 might affect the financial markets and thus your investments? Insightful data, provided to us by IG South Africa, show how major sporting events often coincide with significant movements in financial markets. With the Rugby WorldCup finishing off this weekend, how might the on-pitch action between the two contenders for the Webb Ellis trophy, Australia and New Zealand, will translate to the markets? And how will the South African economy react to the outcome of the Bronze Final between Argentina and South Africa? Here's what's happened in the past. These five major world sporting events will provide some excellent insights. 7 July 2013: Scotland's Andy Murray faces massive pressure from the world No. 1 in the final game: but still completes the first British Wimbledon win for 75 years. 30 September 2012: Spanish golfer José Maria Olazâbal captains Europe to an emotional comeback against the US, dedicating the win to Seve Ballesteros who had passed away the previous year. Will the Bronze Final affect the South African market? The brand value of the sponsors of the final winning team can expect as usual a boost and even share prices might increase extraordinarily as happened with share price of Coca-Cola after the soccer world cup in 2014. The 2015 rugby world cup's sponsors, among them Heineken, Societe Generale and DHL (listed under Deutsche Post), are hopeful to reap some rewards too. The last four teams playing in the 2015 world cup are New Zealand and Australia in the rugby finals and Argentina and South Africa competing in the bronze final. The team's countries certainly all hope for their team's win which might bring growth in their market's indices and beneficial exchange rates for the weeks to come. Similar to the experiences the cricket final winning countries made in Ashes victories in recent years, the winning country might experience a rise in the stock market for up to six month after their team's win, while defeats in the Ashes usually had only little effect on the stock market. Travis Robson, Head of Premium Clients, Retail and Institutions at IG South Africa, names SAB Miller and hotel or property stocks that have a link to the UK as well as healthcare companies like Life Healthcare ﻿or Netcare﻿, as companies to watch. 'The host nation is usually the most likely focus of any trading impact from a major sporting event. For the Rugby World Cup in the UK, £982 million of value is expected to be added to national GDP: on top of the £85 million that has already been invested in infrastructure.' as Travis Robson further explains. Regina Gräff is the founder and editor of ExpatCapeTown.com and co-author of the 'Living in South Africa' expat guide and handbook. Born and raised in Germany, she has a MA phil degree in languages and intercultural communication. Regina is a serial expat and has lived and worked in the USA, Australia, Singapore and the UK. Since 2005, she is at home in Cape Town/South Africa.